People tracking is essential for robots that are supposed to interact with people. The majority of approaches track humans in the vicinity of the robot independently. However, people typically form groups that split and merge. These group formation processes reflect social relations and interactions that we seek to recognize in this paper. To this end, we pose the group tracking problem as a recursive multi-hypothesis model selection problem in which we hypothesize over both, the partitioning of tracks into groups (models) and the association of observations to tracks (assignments). Model hypotheses that include split, merge, and continuation events are first generated in a data-driven manner and then validated by means of the assignment probabilities conditioned on the respective model. Observations are found by clustering points from a laser range finder and associated to existing group tracks using the minimum average Hausdorff distance. We further propose a method to estimate the number of people in the individual groups. 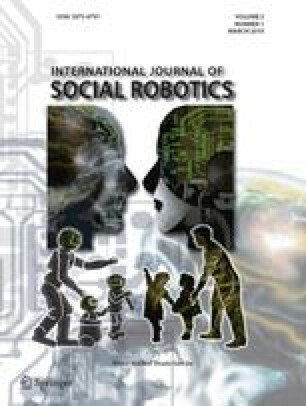 Experiments with a mobile robot demonstrate that the approach is able to accurately recover social grouping of people with respect to the ground truth. The results also show that tracking groups is clearly more efficient than tracking people separately. Our system runs in real-time on a typical desktop computer.